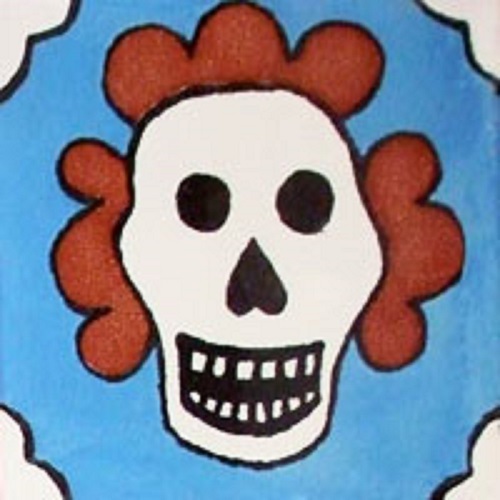 Mexican Day of the Dead tile with blue accents is a part of our folk art design category. The pattern is made of white face, blue hair and wine color background. This mexican tile is available as four inch size only. Free shipping to the US takes about four weeks.